The store leader of Apple's Third Street Promenade store in Santa Monica, Calif. is leaving to assume a more significant role at Tesla, taking charge of a host of showrooms in Los Angeles County, according to a tip received by AppleInsider. 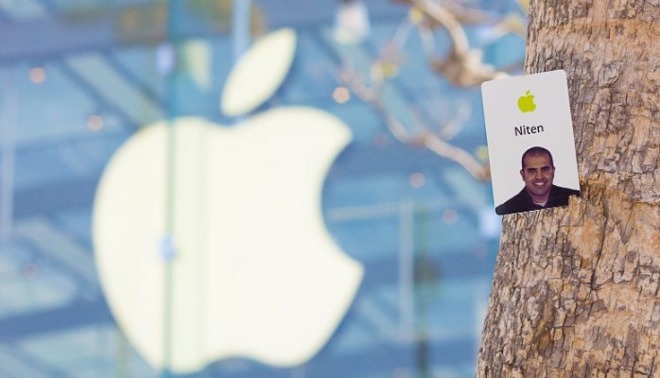 The store leader, Niten Kapadia, announced his departure from Apple on Friday via LinkedIn, without specifying who his new employer might be. Kapadia has worked with Apple retail for around 13 years, over seven of those leading the Third Street Promenade outlet. Apple and Tesla have been engaged in a job-poaching battle for some time, the former looking to pick up people for its own electric car project. While Apple's recruitment tactics may have had an impact on Tesla development, Tesla is likely on the verge of a major hiring spree after the unveiling of the Model 3 —its first vehicle priced to attract a wide audience instead of wealthy sports and luxury car enthusiasts. The first Model 3s will only be delivered in late 2017, but the company has already achieved nearly 400,000 pre-orders, and is scrambling to grow both its charging infrastructure and manufacturing capacity to keep up with demand. To keep sales momentum going, the company will probably need to boost retail staff as well. Apple's own electric car isn't expected to launch until at least 2019 or 2020. The first model may or may not be self-driving, though one possibility is that like the Model 3, it will have support for a self-driving upgrade.